Thailand’s wonderful capital Bangkok, officially known also Krung Thep is also called “City of angels. Indeed, this ancient city is a paradise for all tourists – high-end as well as budget travelers or backpackers. For most of those travelers, Bangkok is an entry gate before traveling through Asia and heading on their backpacking adventure. In recent years, the exchange rate of the Thai Baht has risen against major world currencies. For example, one American Dollar fetches just about 32 Thai Baht. A few years earlier, a US Dollar traded for as much as 40 Thai Baht. As a result, exploring Bangkok can prove somewhat expensive nowadays. Every avid traveler knows that airfares and accommodation constitute the bulk of expenses in a foreign land. Thanks to budget airlines and excellent hostels available in Bangkok, exploring splendors of the Thai capital can be done on cheap. Bangkok is a year-round tourist destination. Though this large city has sufficient accommodation facilities, getting last minute reservations can prove difficult. Dedicated kiosks at Thailand’s main Suvarnabhumi International Airport in nearby Chonburi province offer hotel accommodation but these generally cost a lot more. For budget travelers and backpackers, Bangkok offers a great selection of hostels. 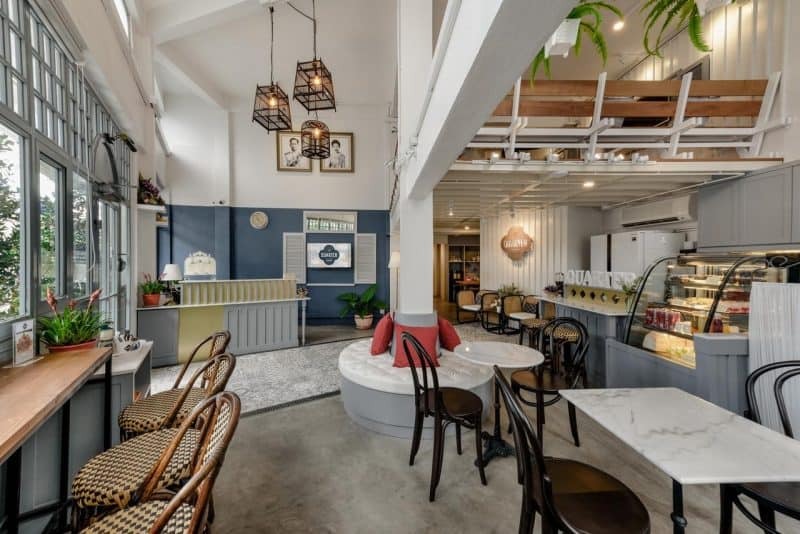 While selecting such hostels, ensure it is easily accessible by Bangkok Mass Transit System (BTS), also called Skytrain and has budget dining and shopping facilities nearby. Tuk-tuks or traditional auto-rickshaws in Bangkok charge arbitrarily and most drivers do not speak English. Taxis charge metered fares but unless well versed with roads of Bangkok – chances are, you will get taken for a ride- and fairly expensive one too. Here Hostel is lovely place to stay in Bangkok! Ideal for all types of backpackers, travelers or digital nomads who are looking for n.1 hostel in Bangkok. Vibe is super friendly and relaxing but also satisfying for those party souls who are looking to get wild in Bangkok. Location of hostel in amazing, it’s only 5-10 minutes walking distance from so called “Backpackers paradise” or as might know, Khao San Road which is full of parties and great nightlife. Hostel organizes there super fun walking tours with all the guest which is ideal for solo travelers to make friends and hang out / party hard. Area has also some amazing restaurants which you should definitely try, just ask on reception for great local tips. What else? They have amazing beds which are kind of a capsule style and give you great rest and comfort. Every private or dormitory room comes with an AC which it’s super handy in Thailand. You can use FREE wifi, toiletries, towels and very well rated INCLUDED BREAKFAST which is served till 10am. For late afternoon flights or departures they also have FREE luggage service available. Here hostel comes with everything you expect from 9.1/10 reviewed & very well experienced hostel. Book now, before it gets sold out (it usually does). 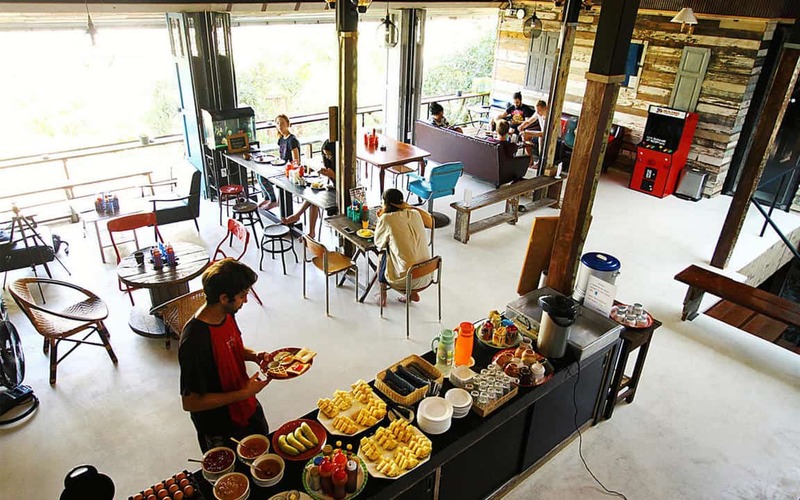 This ranks first among the 10 best hostels in Bangkok for backpackers. Firstly, it is located in Silom district of the Thai capital and is easily accessible by BTS (from Saladaeng station) and Mass Rail Transit (from Samyaen station) from other parts of the city. Additionally, Sap Road, on which this hostel is located, is near Surawon Road and Si Phraya Road. These roads are famous for street-side shops selling handicrafts, inexpensive readymade garments and myriad other stuff ranging from traditional herbs and spices to clones of expensive watches. Currency exchanges and ATMs are located nearby. 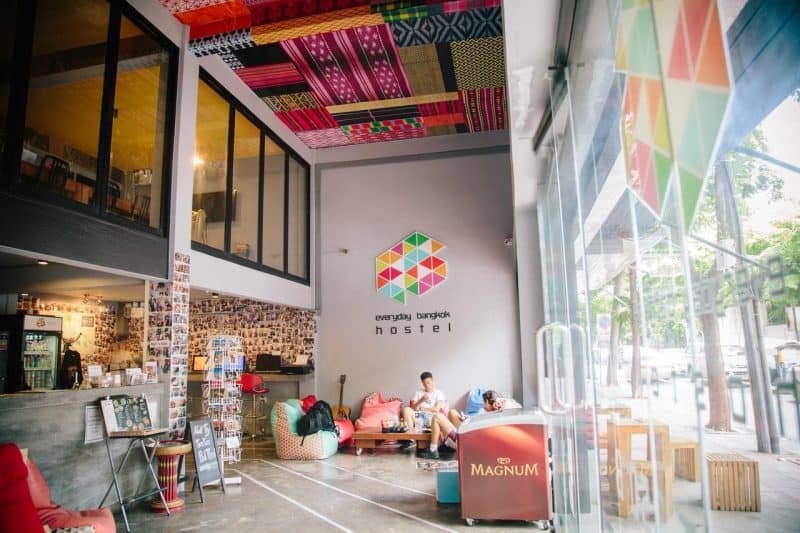 Another best hostel in Bangkok for backpackers is The Quarter Poshtel & Coworking Space located in Pathumwan district of the city. It offers a few extra facilities such as air conditioned accommodation, free parking for motorcycles and cars as well as toiletries, depending upon the type of room you choose. You can taste excellent Thai cuisine at roadside stalls located within a couple of minutes walking distance from the hostel. 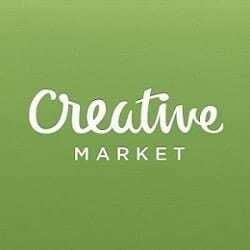 Additionally, stalls selling exquisite handicrafts of Thailand, inexpensive readymade garments and other local stuff are all within a 500 meter radius. 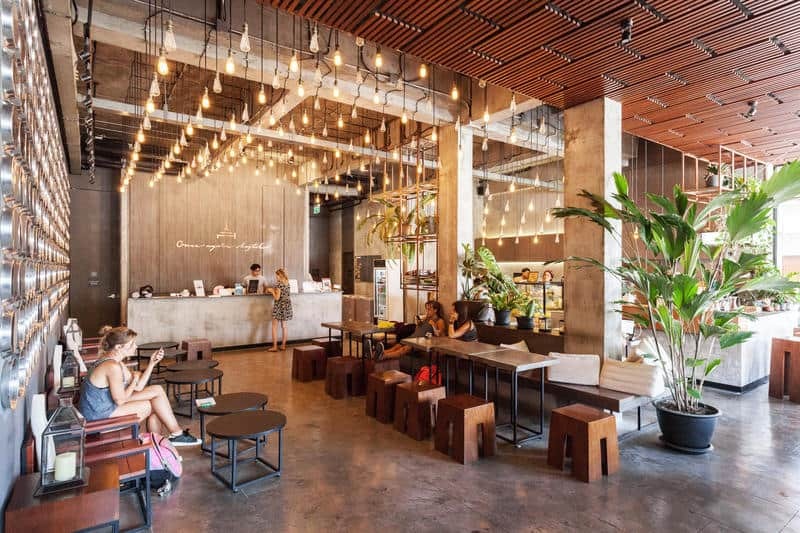 Backpackers interested in exploring rich culture, heritage and traditions of Thailand will find Playground Hostel an excellent place to start their journey. 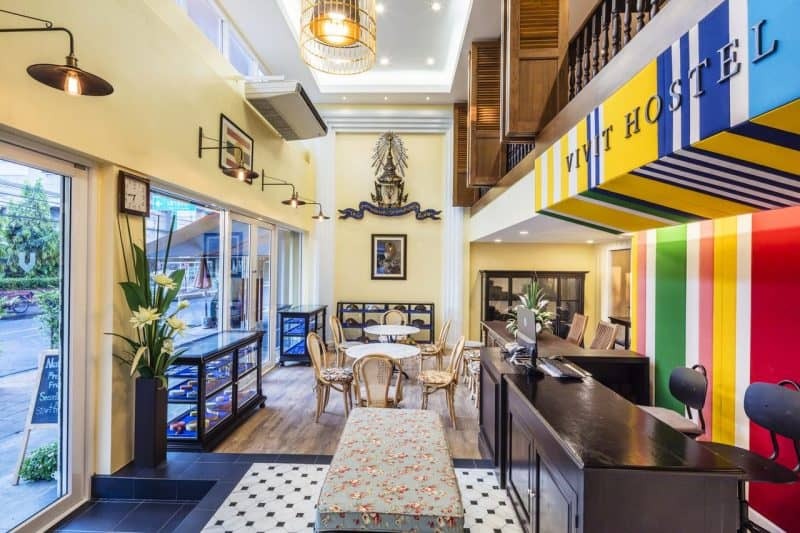 Bangkok’s biggest tourist attraction, Grand Palace and the Temple of Emerald Buddha are located within three kilometers from this hostel. On route, you can also visit the scenic and bustling flower market of Bangkok that operates for about three hours every morning. 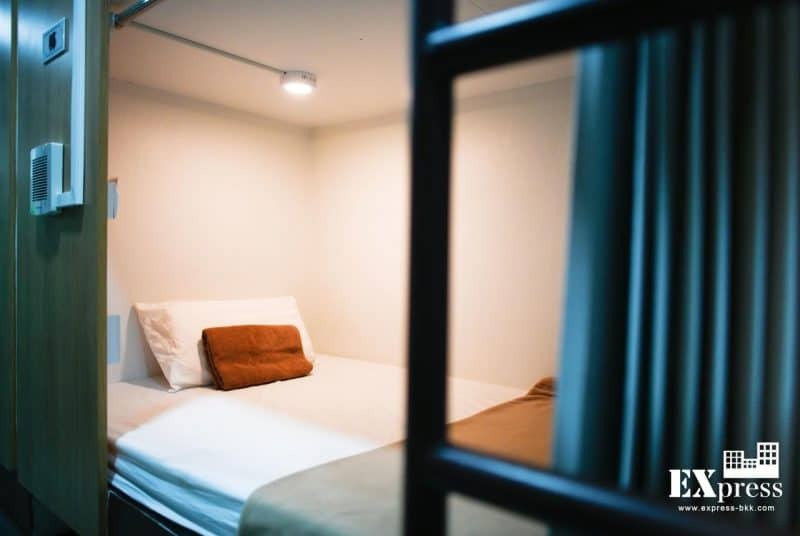 Playground Hostel is located in Thonburi area and easily accessible from Suvarnabhumi International Airport. 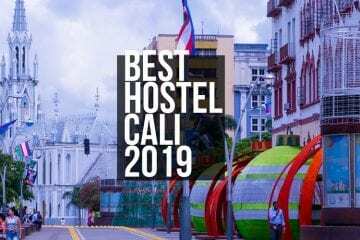 A distinct advantage of staying at this hostel is, you can enjoy nearby nightlife to the fullest without spending on cabs or venturing into distant districts of the city. Extremely comfortable rooms and amenities offered at Vivit Hostel give you value for money. The building housing Vivit Hostel is a monument in itself. The premises, built in Anglo-French colonial era as well as Thai architecture. Ideal for exploring gastronomic delights of Thailand, since streets nearby are lined with food stalls every evening. Any backpacker who loves shopping for collectibles to take back home will fall in love with Natee Hostel. Located in Pathumwan district of Bangkok, Natee Hostel is also near several major tourist attractions. 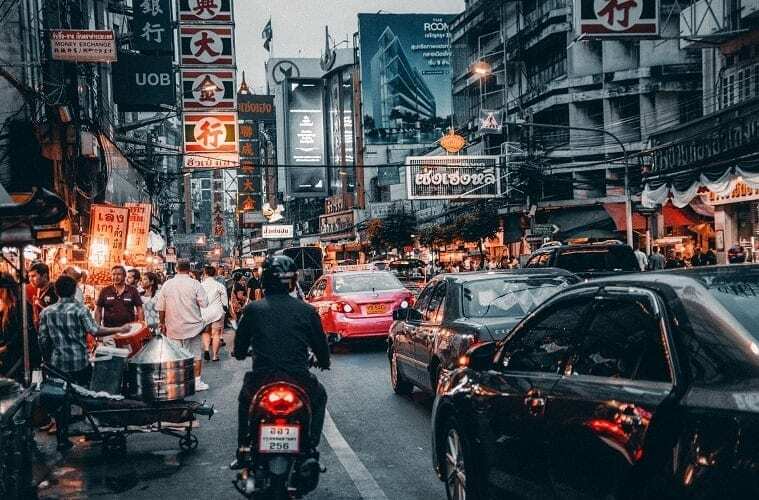 Shoppers can walk to the nearby Pratunam market which houses a large, multi-story market that sells everything from inexpensive readymade garments, fashion jewelry, spices, original Thai home-brewed liquor, toys as well as excellent local handicrafts. Natee Hostel features rooms for single guests as well as groups. All rooms are well furnished and comfortable. 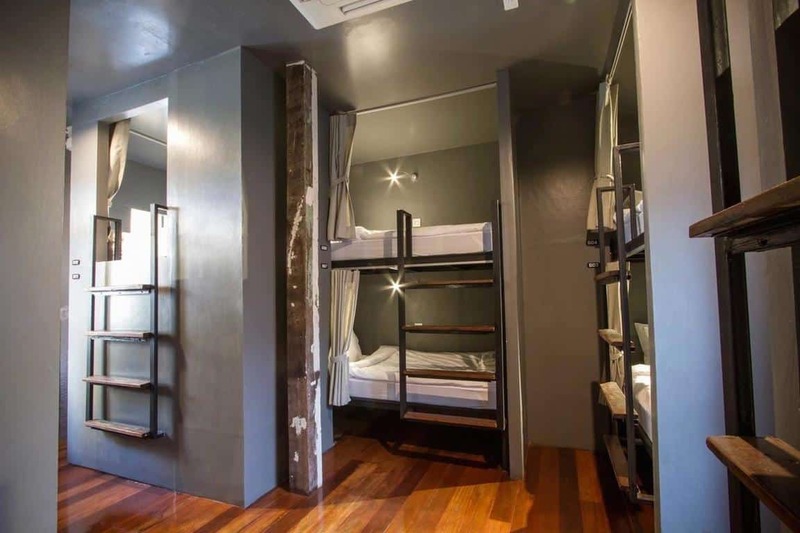 Slumber Party Bangkok is something of a backpacker’s dream come true. 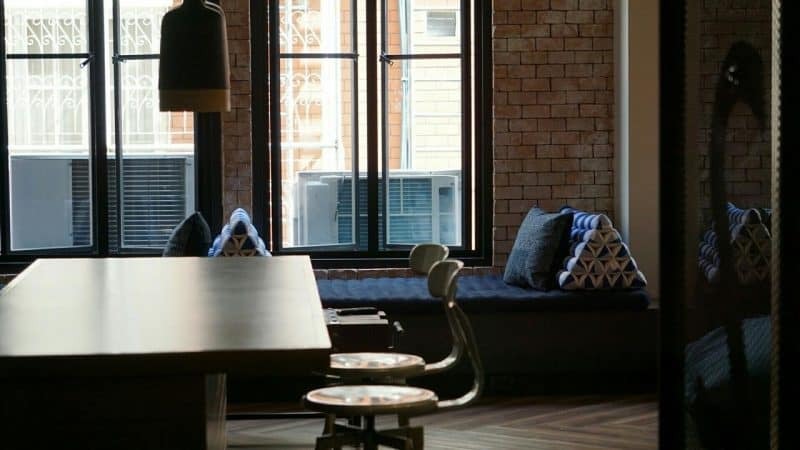 The neatly appointed hostel buzzes with activity almost round the clock. It is common to see groups of backpackers having impromptu parties in the lobby with singing and dancing with drinks. 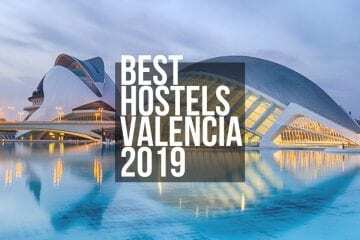 This hostel provides you excellent opportunities to meet travelers from various countries and network or learn more about different cultures. 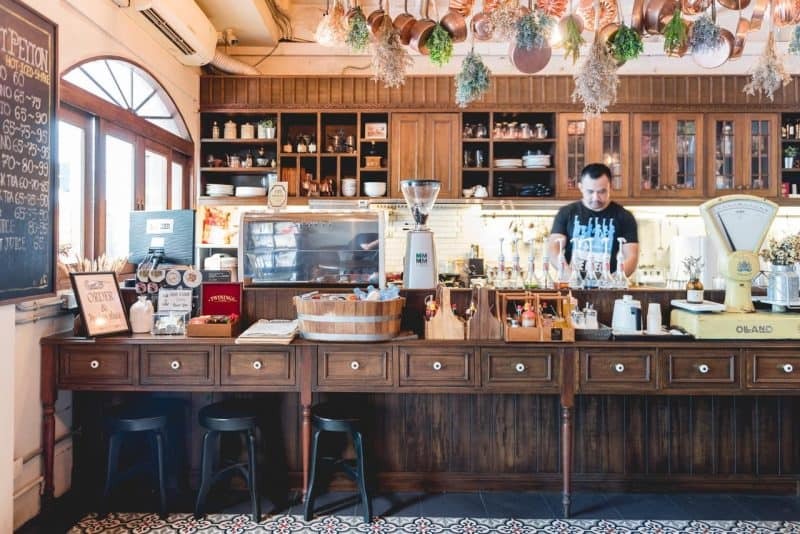 Slumber Party Bangkok features a bar and restaurant that offers authentic Thai food as well as continental favorites to cater to diverse taste of its guests. 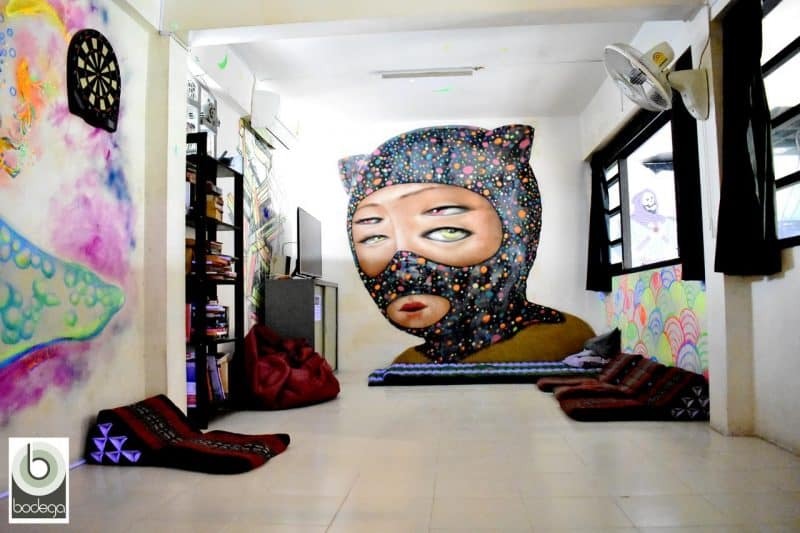 The only flipside is, Slumber Party Bangkok generally accepts only the younger generation of backpackers as guests, due to raucous ambience that prevails on the premises. 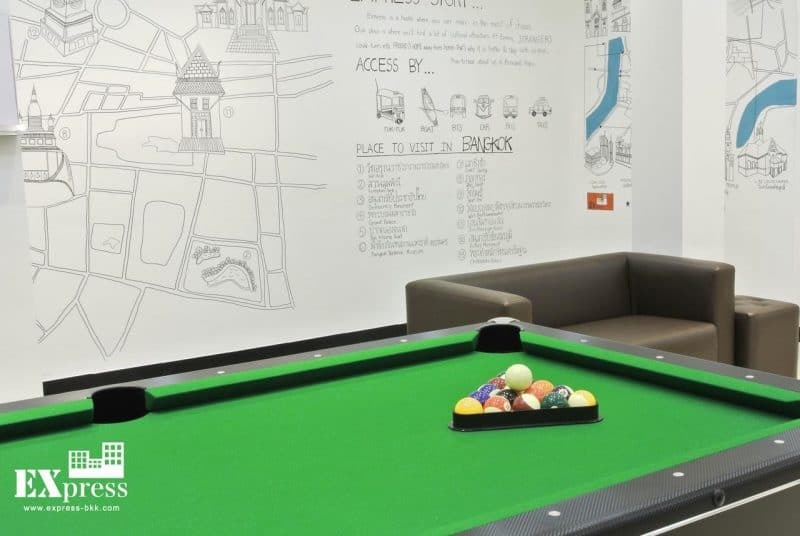 Express is a very modern hostel for backpackers and offers excellent value for money with its comfortable rooms, convenient location and excellent service. 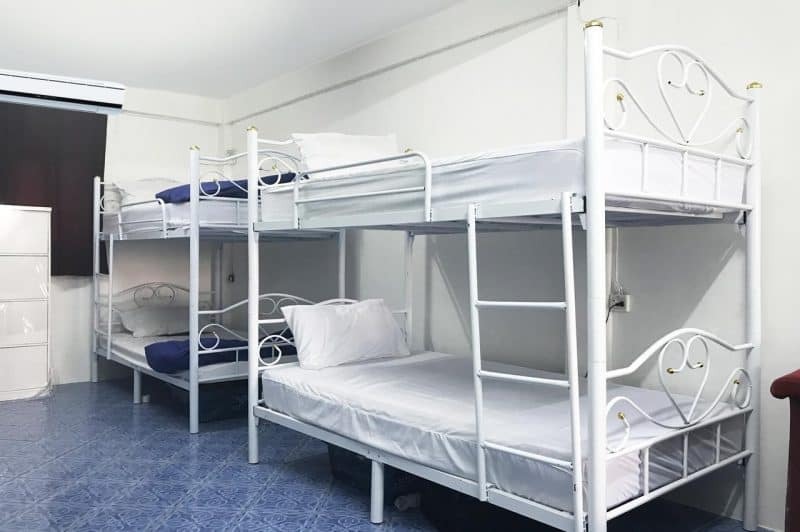 Tourist attractions such as Patpong, which comes abuzz with nightlife daily and Sukhumvit are located within a proximity of three to five kilometers from this hostel. Express is located in Sathorn area of Bangkok. This is one of the business districts of the Thai capital. Hence, you will be amazed at modernity of the area during the day, when it comes abuzz with office-goers and large stores, restaurants. At night, the area almost magically becomes a tourist paradise where you can buy fresh, grilled fish and other Thai delicacies at stalls and indulge in very cheap shopping. 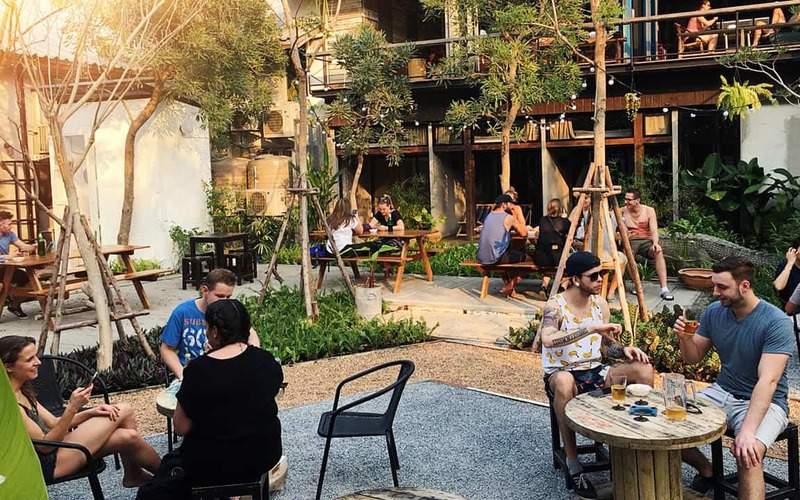 As the name of this hostel rightly denotes, Niras Bankoc is the right place for backpackers who wish to explore the rich heritage and culture of Thailand. 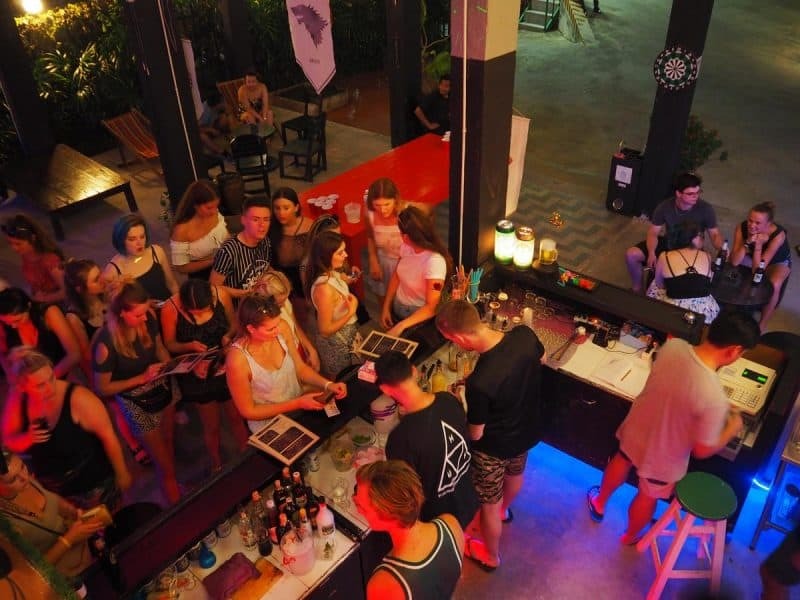 In stark contrast with other backpacker hostels of Bangkok, the Niras Bankoc is more sedate and offers you an excellent opportunity to relax. Temple of Emerald Buddha, Grand Palace, Wat Pho, Flower Market are all located nearby. Additionally, the Phra Nakhon area is home to several Buddhist and Hindu shrines, small and large. Some of these are intricately designed and date back several centuries. It is common to see groups of Buddhist monks posing with foreign tourists for pictures outside some of these shrines. You can also invite one for a lunch to learn more about Thai culture and tradition as well as gain insights into Buddhist way of life. At night, area near Niras Bankoc comes alive with food stalls and pavement vendors selling an assortment of interesting stuff. 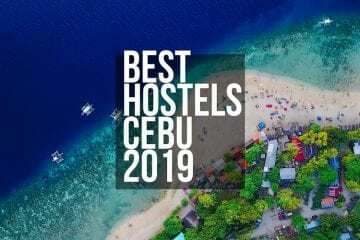 This hostel is a “must” anyone on their first backpacking experience. Once Again Hostel has something very unique: It is a dormitory with custom-made beds. These are slightly larger than mass made variants. Entrance to the “capsule bed” as owners of Once Again Hostel call it, resembles that of a traditional Thai house. This feature is exclusive to the hostel and provides a higher level of privacy to guests over other conventional dormitories. The relaxed yet lively atmosphere of Once Again is lent by backpackers from across the world. It is common to hear banter in different languages of the world in the dormitory. The place also allows you to get acquainted with other similar tourists. Located in Phra Nakhon district of Bangkok, you can easily walk or bike the distance to the Grand Palace, Temple of Emerald Buddha and other cultural sites nearby. The Omarthai is located in Sukhumvit area of Bangkok, which is a tourist hub of sorts. It can be easily accessed from all parts of the Thai capital by BTS. The nearest BTS station is Phra Khanong, located about 250 meters away from the hostel. Sukhumvit is also a major business district of Thailand. Here you will find all amenities that can be expected in a modern country. This area of Bangkok is bustling with activity 24x7x365. 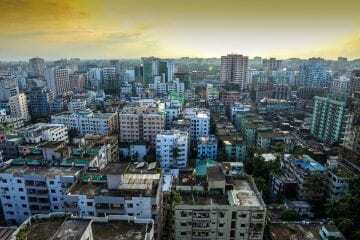 It is also near most foreign embassies and diplomatic missions. Sukhumvit area has a host of restaurants that feature almost every major cuisine of the world. Small and large local stores lend the area a typical residential ambience. Additionally, Omarthai offers BBQ facilities every evening and a small bar where you can enjoy great local beers and brews or sip imported variants. Malls, sightseeing, tourist attractions or some cool Bangkok’s yoga studios can be easily accessed from this area. As we mention earlier, Thailand is a hot destination all through the year. Hence, it is highly recommended to book a hostel well before your arrival in Bangkok. Best hostels in Bangkok for backpackers generally offer a host of freebies including WiFi Internet access and giant screen TVs. Before booking online, check whether the preferred hostel offers certain facilities. Complimentary coffee or breakfast. Some hostels provide electric kettles for boiling water to make tea or coffee. Tea and coffee stalls in Bangkok are often hard to find. Look for 7-Eleven stores near the hostel you wish to stay. These stores, like elsewhere in the world, operate round the clock. Meaning, you can buy anything from snacks to soap, beer to mobile calling credit anytime. Visit multiple websites to explore the best rates. Often, some websites offer the same hostel at cheaper rates over other competitors. Ensure the hostel has sufficient facilities for safekeeping your baggage and valuables. 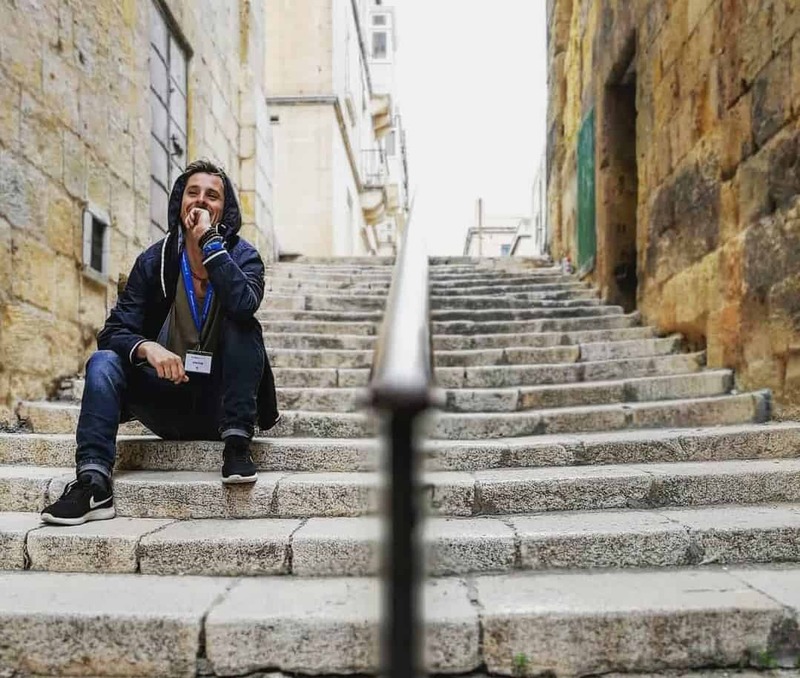 Finally, remember that backpacker hostels, regardless of their quality and rates, tend to have raucous guests. Hence, be prepared to see inebriated tourists walking in scant clothes. Bangkok hostels are fairly inexpensive. But cheap prices come at some expense too. The first casualty is your privacy. 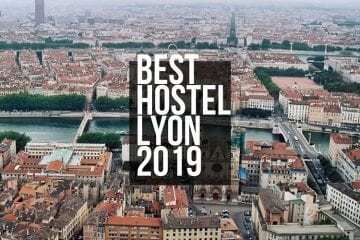 And these hostels are certainly not for xenophobic tourists. Remember, if you need a break from backpacking life, just check in to inexpensive hotel and relax on your own! 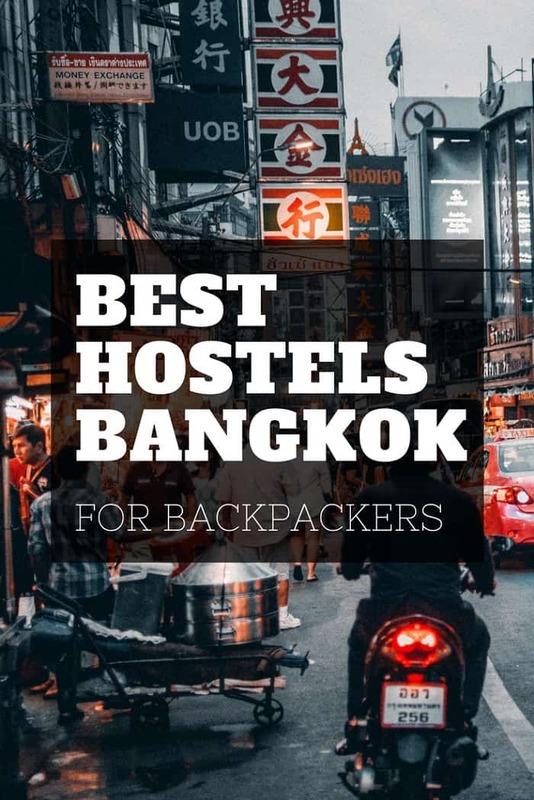 Generally, most backpacker hostels in Bangkok are patronized by travelers from Europe and Australia though you may stumble across some from Africa and the Middle East. However, staying at these hostels is very comfortable and provides great value for money.